MAX 2: White House Hero Blu-ray Giveaway | More Crunchy Beach Mama! My family looooves dog movies and I know won’t be able to pass up watching this one. Duty calls again and hero dog Max returns to action. His new assignment brings him to Washington, D.C. to serve on the U.S. president’s Secret Service detail. When a foreign leader arrives with his precocious daughter Alex (Francesca Capaldi), tensions arise between both countries. First Son TJ (Zane Austin), along with Max and Alex, uncover a dangerous plot that puts both kids and both nations in jeopardy. A highly-sensitive mission will push Max’s specialized skills, intelligence and loyalty to the test. MAX 2: White House Hero is out on Blu-ray from Warner Bros Home Entertainment on DVD/Blu-ray Combo Pack On May 23, 2017 & Digital HD Now! Will your family be watching this fun movie? 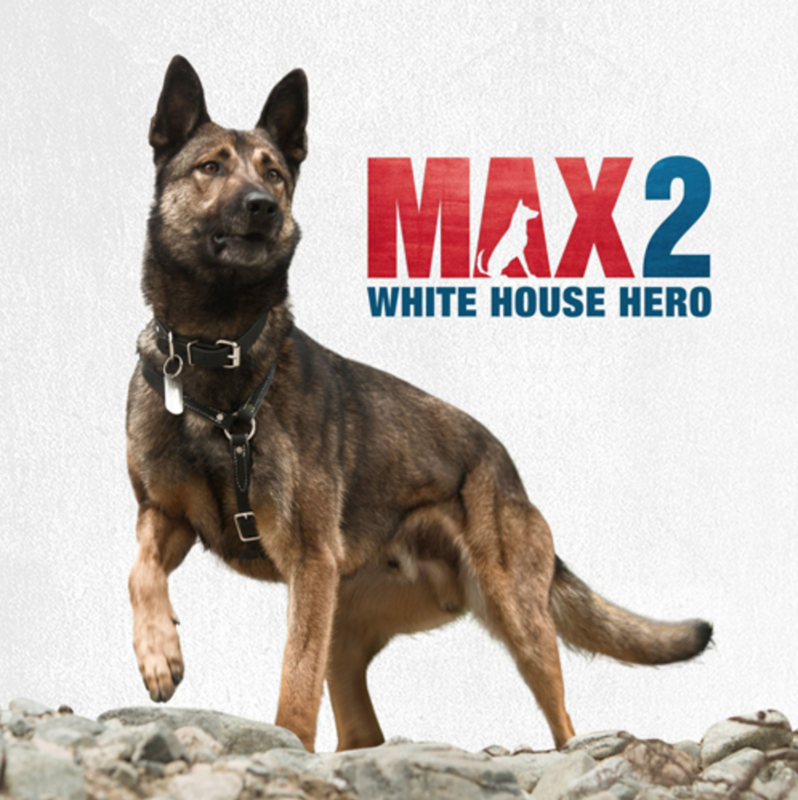 WIN a MAX 2: White House Hero Blu-ray! Links may be affiliate. This giveaway will end on June 1, 2017 at midnight MST. Winners will be drawn via rafflecopter. Once a winner is drawn I will contact them and they will have 48 hours to reply before I draw a new winner. Giveaway is open to anyone in the US. You must be 18 years of age or older. Giveaway is not affiliated with Facebook & I release them of liability. Winner will be posted in the rafflecopter widget.